Today the Supreme Court hears arguments in Shelby County v. Holder, a case challenging the constitutionality of the Voting Rights Act (VRA). 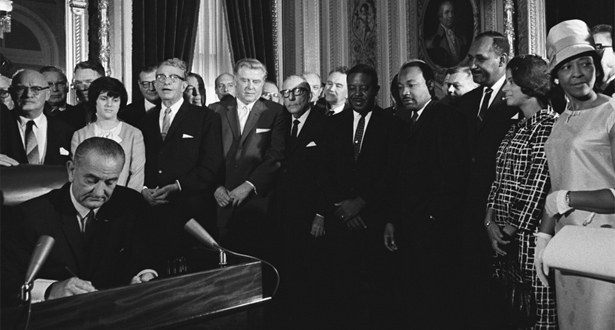 In 1965, following a civil rights movement demonstration in Selma, Alabama, which ended in bloodshed, President Lyndon B. Johnson signed the Voting Rights Act and catapulted the civil rights movement by making discriminatory practices that disenfranchised voters illegal. 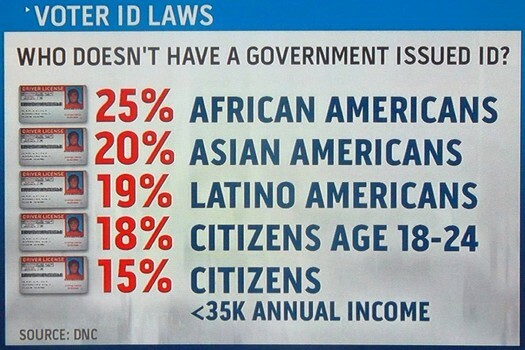 The 15th Amendment to the Constitution prohibited states from denying a male citizen the right to vote based on “race, color or previous condition of servitude.” However, continuing discriminatory practices like poll taxes and mandatory literacy tests prevented African Americans from voting and in 1965 Congress passed the VRA. 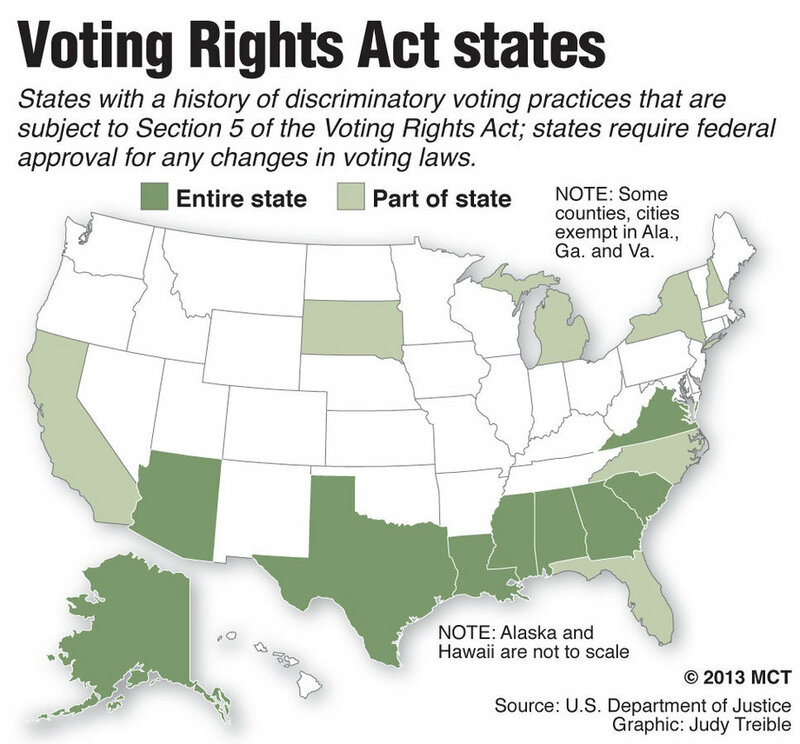 Section 5 of the VRA prohibits discrimination based on race, critical in specific states with historical and documented discriminatory restrictions on voting. These particular jurisdictions are prevented from making changes in their election requirements without first getting pre-approval from the federal government. Section 2 of the VRA bars the use of voting practices or procedures that discriminate against minority voters. 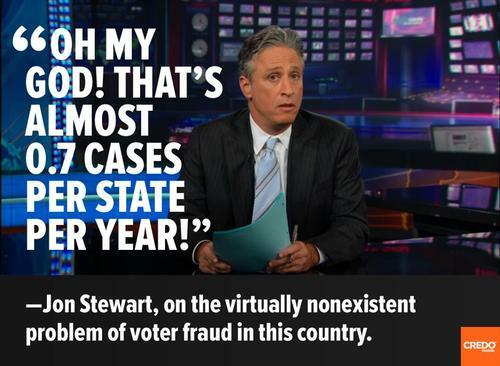 During the 2012 Presidential election there were many attempts to disenfranchise voters with attempts to pass voter ID laws that prevented minorities and elderly people from exercising their Constitutional right to vote. Long voting lines and last minute changes to polling sites are every bit as oppressive as the poll taxes that dominated past elections before the passing of the VRA of 1965. 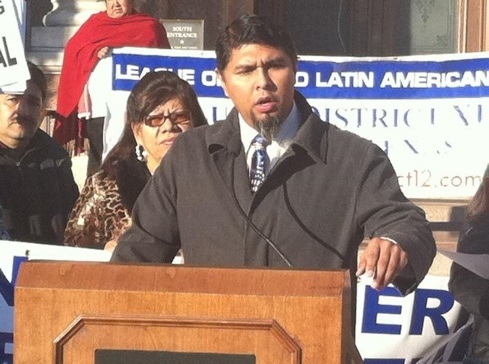 “Texas, for example, proposed a stringent voter ID law that had the purpose to prevent minority voter participation which the Supreme Court found violated Section 5 of the VRA,” said LULAC National Executive Director Brent Wilkes. “It’s outrageous to minority voters to suggest that the VRA is outdated in light of recent attempts by states to disenfranchise voters. The progress we’ve made has been solely because of the protections offered by the VRA, and any distinctions made are attempts to manipulate the law for political advantage.” The League of United Latin American Citizens is rallying on February 27th on the steps of the Supreme Court in order to reinforce to the Court that the Voting Rights Act protects real voters from discrimination. 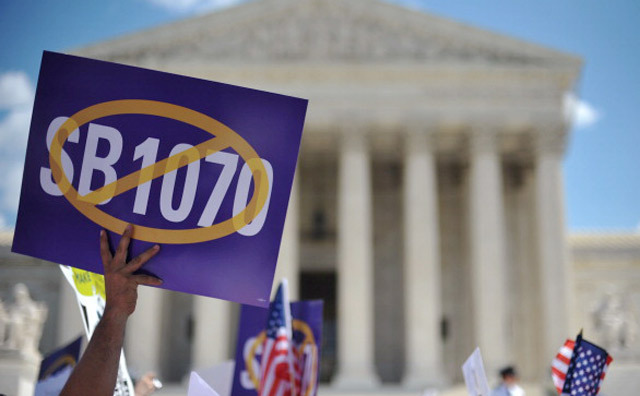 WHAT DID SUPREME COURT JUSTICE SONIA SOTOMAYOR SAY ABOUT SB 1070? The U.S. Supreme Court’s first Hispanic justice took a lead role in criticizing oral arguments over Arizona’s controversial immigration law. The liberal Sotomayor, President Barack Obama’s first Supreme Court appointee, was most widely quoted for her stinging criticism of the government’s argument that Arizona’s law preempts federal authority over immigration. 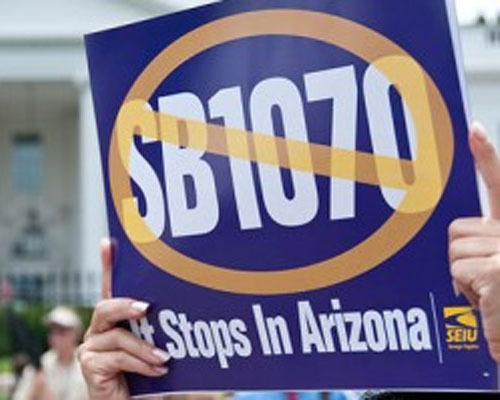 But her lines of questioning and criticism of Arizona’s rebuttal also indicated skepticism about the most contentious provisions of the state law. 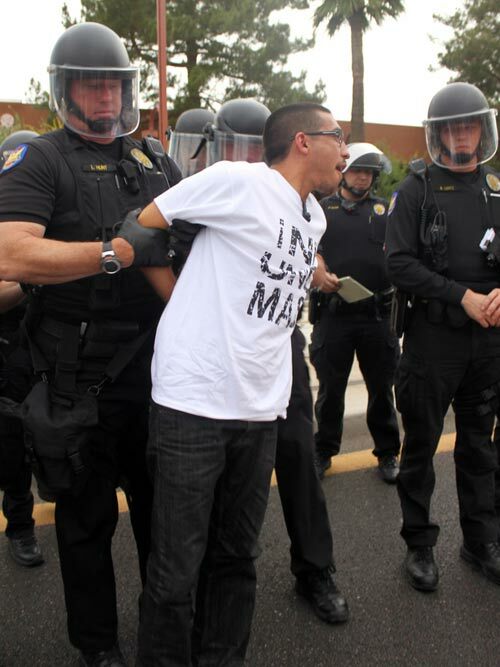 The questions Sotomayor posed to Paul Clement, the attorney representing Arizona, hinged on what would happen to people detained under SB 1070, as the law is known, who did not readily appear in databases. She noted that some people, like political asylum applicants, may not be registered with the federal government because the process requires them to keep their status private. 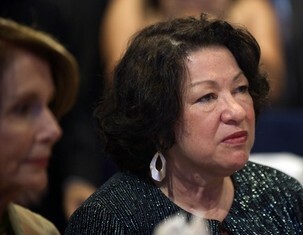 “What’s going to happen now is that if there is no statement by the federal agency of legality, the person is arrested, and now we’re going to have federal resources spent on trying to figure out whether they have that, whether they are exempted for this reason, whether the failure to carry was accidental or not,” Sotomayor said. Sotomayor was the only justice to pose questions during Clement’s rebuttal. 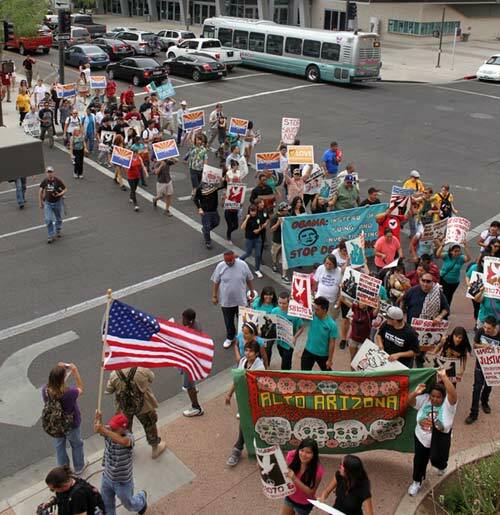 The Latina justice also jumped in with the first line of questioning, parsing out how detention processes under suspended provisions of the Arizona law would differ from current practice, and she posed questions highlighting the limitations of current federal databases to check people’s immigration status efficiently after being stopped. There is no federal database of authorized residents, only a passport registry, according to U.S. 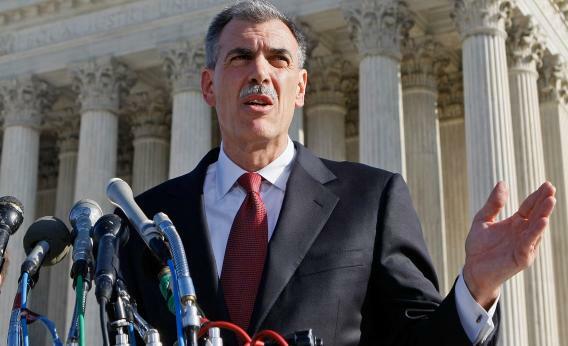 Solicitor General Donald Verrilli, who is arguing on behalf of the Obama administration. The federal government also checks reports of undocumented immigrants against another eight to10 federal databases, Verrilli said. 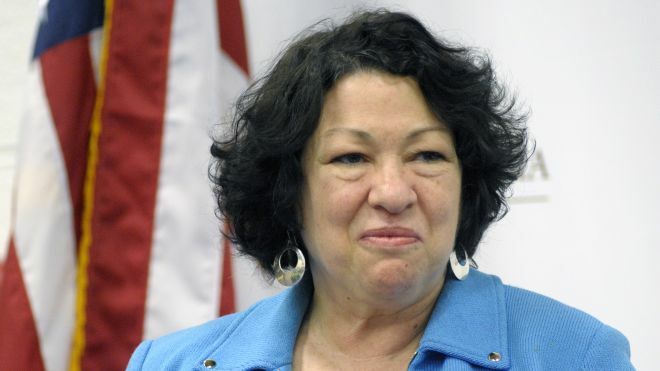 Hypothetically, then, under the Arizona law a person stopped for an offense and held on suspicion of unlawful residence could wind up in custody for long periods of time, Sotomayor posited. While Sotomayor’s line of questioning indicated skepticism of parts of Arizona’s case, it was her biting criticism of Verrilli’s argument that Arizona’s enforcement of immigration undermined federal authority that caught the most attention. “You can see it’s not selling very well,” Sotomayor said, commenting on a series of both tough questions and outright assertions made by the country’s highest court, where conservatives hold a majority. “Arizona is not trying to kick out anybody that the federal government has not already said do not belong here,” said Justice Antonin Scalia. The most forceful argument in favor of the controversial immigration law’s provision requiring police to check the immigration status of those they stop came from Chief Justice Roberts. WHAT IS THE SUPREME COURT GOING TO DO ON THE QUESTION OF OBAMA’S SIGNATURE HEALTH CARE OVERHAUL LAW? 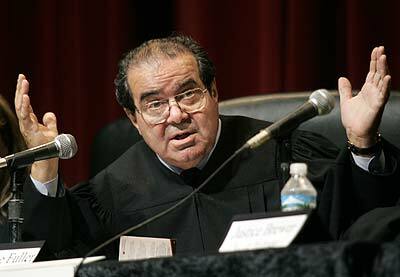 U.S. Supreme Court Justice Sonia Sotomayor is keeping quiet what the Supreme Court is going to do on the question of whether President Barack Obama’s signature health care overhaul law is constitutional. Sotomayor was the featured speaker Monday night at a lecture hosted by the University of the District of Columbia. 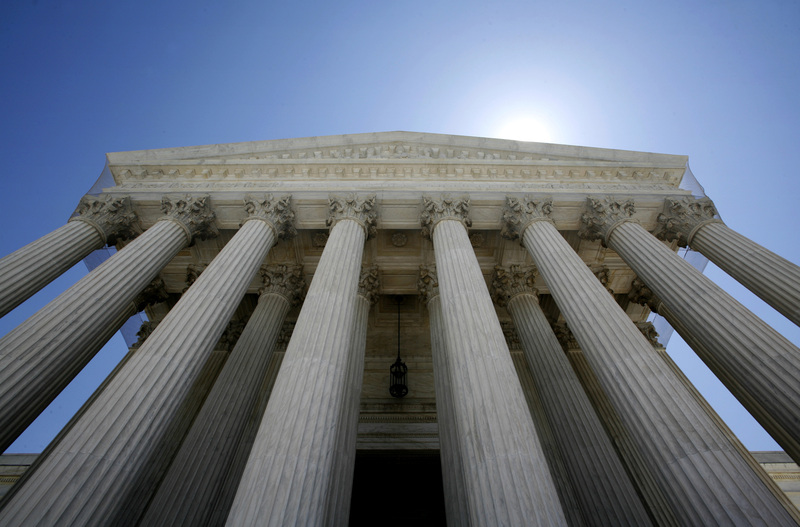 The court recently heard arguments on the health care law and is expected to make a decision before the end of June. But Sotomayor made no comment on the widely followed case. The justice used most of her conversation with Wade Henderson, president of the Leadership Conference on Civil and Human Rights, to explain how the Supreme Court works and how she decided to become a lawyer and a prosecutor. 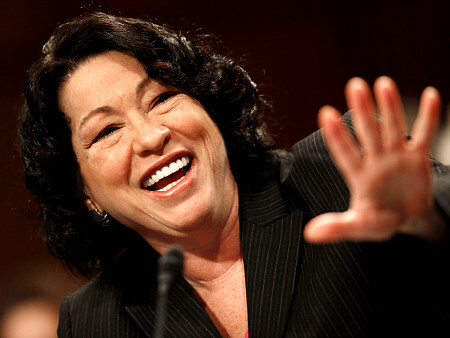 Sotomayor was born in the Bronx to Puerto Rican parents and received her B.A. from Princeton before earning her law degree at Yale. She worked as an assistant district attorney in New York before going into going into private practice in 1984. President George H. W. Bush nominated Sotomayor to the U.S. District Court for the Southern District of New York in 1991 and she was confirmed in 1992. President Obama nominated Sotomayor for appointment to the U.S. Supreme Court to replace retired Justice David Souter and her appointment was confirmed in 2009. 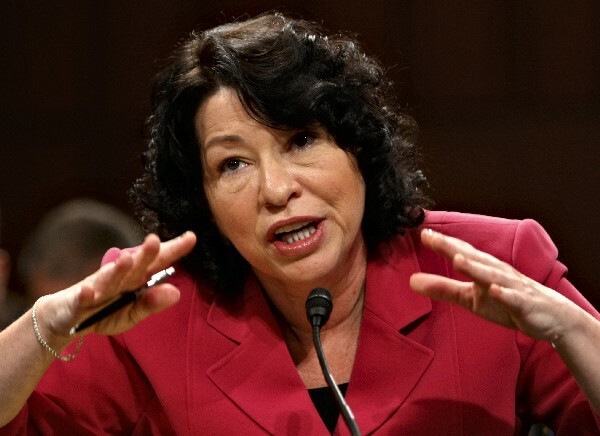 “It’s a sad statement people that people still say those words,” said Sotomayor, who is Hispanic. 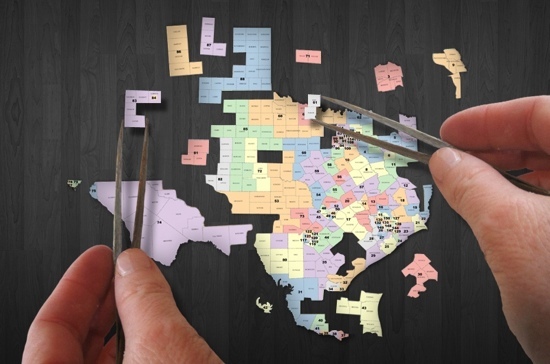 DID FEDERAL JUDGES FINALLY APPROVE TX REDISTRICTING MAPS? A federal three-judge panel in San Antonio on Tuesday issued the last remaining sets of Texas political maps that had been at the center of a redistricting dispute, appearing to end uncertainty over the state’s long-delayed primary elections. The judges released new interim maps for Congressional and State House districts. It had issued a State Senate district map this month. The legal wrangling over the three sets of maps had thrown much of the state’s political machinery into limbo, as the judges twice pushed back the date of the primary and lawmakers and candidates struggled to campaign without viable electoral maps. Minority groups and Democratic lawmakers sued the state in federal court over the maps drawn by the Republican-controlled Legislature, arguing that they discriminated against blacks and Hispanics. Lawyers for Greg Abbott, the Texas attorney general, who is representing the state, have argued that the maps were drawn to help Republicans maintain power, not to discriminate. At a hearing earlier this month, one of the judges said the primary, which had been set for March 6 and then April 3, would most likely be on May 29. Jacquelyn F. Callanen, the elections administrator for Bexar County, told the judges that elections officials statewide would need the maps by March 3. With all of the maps having been issued before March 3, May 29 appears to be the primary date, though the judges have yet to make the date official. The court’s new Congressional map is based in large part on a compromise map that the state and lawyers for some of the minority groups had recently agreed to. The court’s map gives blacks and Hispanics three of the state’s four new Congressional seats, but it also appears to weaken the minority voting strength in three other seats that blacks and Hispanics had been competitive in, experts said. “It clearly is better than the state’s map, but arguably it doesn’t go as far for minorities,” said Michael Li, an election law attorney in Dallas who has followed the case’s developments on his Web site, Txredistricting.org. 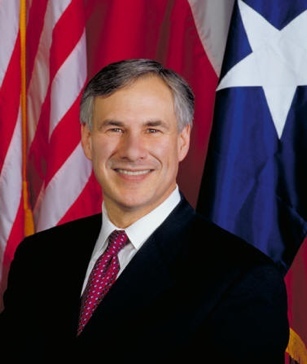 Texas Attorney General Greg Abbott has served as the 50th Attorney General of Texas since December 2, 2002. Prior to his election as Attorney General, he was a Justice on the Texas Supreme Court and a State District Judge in Harris County. The federal judges had previously drawn a set of maps that differed from the Legislature’s maps and benefited minorities, but the attorney general asked the Supreme Court to intervene. The Supreme Court ruled in January that the San Antonio judges had not paid enough deference to the Legislature’s maps and sent the case back to the lower court. CAN SOMEONE EXPLAIN THE THE SCOTUS RULING ON TX REDISTRICTING? Basically, the Supreme Court sent the case back to the three-judge court in Texas to redraw congressional and legislative lines using Texas’s own plans as a starting point. The Court held that the three-judge court should deviate from Texas’s maps only if it is likely that parts of the maps violate the Voting Rights Act. SCOTUS — cited its 1996 decision in Lopez v. Monterey County — said that a District Court may not adopt “as its own” a state plan that needs Washington clearance but does not yet have it. However, the precedents “say nothing about whether a district court may take guidance from the lawful policies incorporated in such a plan for aid in drawing an interim map.” Turning then to its 1982 decision in Upham v. Seamon, the Court said that a district court has a duty to “defer to the unobjectionable aspects of a state’s plan” even in a situation where clearance was sought but had been denied. As far as Section 5, requiring some states and local governments to get Washington legal approval before they may put into effect any change in their election laws; Justice Thomas spoke for himself citing his belief that it is unconstitutional. What does this mean? The opinion favors the state’s maps. This decision only affects the interim maps and this is not necessarily a defeat for the redistricting plaintiffs.